Can We Make Tastier Tomatoes? They can be eaten raw, made into countless stews and sauces, and add a tasty addition to nearly any dish. Tomatoes are practically indispensable in any modern kitchen and are one the highest monetary valued fruits. However, they were not always the big and meaty fruit we know today. Tomatoes were not always the big and meaty fruit we know today. Throughout history, humans have domesticated and improved plants, selectively breeding them till they bear little resemblance to their wild counterparts. Wild tomatoes are thought to have arisen from the Andean region of South America and were small, resembling cherry tomatoes. In fact, cherry tomatoes are thought to be the ancestor of the larger varieties. Conquistadors then brought tomatoes from South America to Europe in the sixteenth century, and the continued migration and selective breeding has massively changed tomato genetics. Some of these changes are responsible for tomatoes that are ~100 times larger than their ancestors, while others have produced the unique pink coloration of tomatoes popular in China and Japan. However, much less is known on how the tomato metabolome, or its collection of small molecules (metabolites) such as amino acids, vitamins, and sugars, has changed throughout domestication and later improvement of the fruit. The metabolites in tomatoes not only affect their development but also play key roles in human health and are responsible for their nutrition and taste. Today, the breeding of tomatoes has largely focused on increasing shelf life, yield, and disease resistance. Yet these changes may sometimes have negative impacts on the quality of tomatoes. Understanding how the metabolites in modern tomatoes has changed through selective breeding will help us to understand how best to breed and design tomatoes in the future to maximize their nutrition and taste. In a recent study, Guangtao Zhu et al. identified the metabolites in a variety of tomato samples spanning the domestication and improvement stages in the species. Interestingly, the greatest amount of change in metabolites happened not during domestication but during the later improvement stage. A notable change during the development of the modern tomato is the selection against steroidal glycoalkaloid (SGA), responsible for the bitter taste in early tomatoes and common in the nightshade family of plants to which it belongs. Presumably, humans selected this without any knowledge of SGAs, instead breeding tomatoes that were less bitter than others. In addition to SGAs, other metabolites in modern tomatoes are very different from their ancestors. The authors also explored why the pink tomatoes popular in Asian countries are considered so much more flavorful from their red counterparts. The peel of red tomatoes contain a compound called naringenin chalcone that gives a yellow-hue to the peels, and the absence of this compound in pink tomatoes results in their pink coloring. Yet, why pink tomatoes are considered more delicious is unknown. 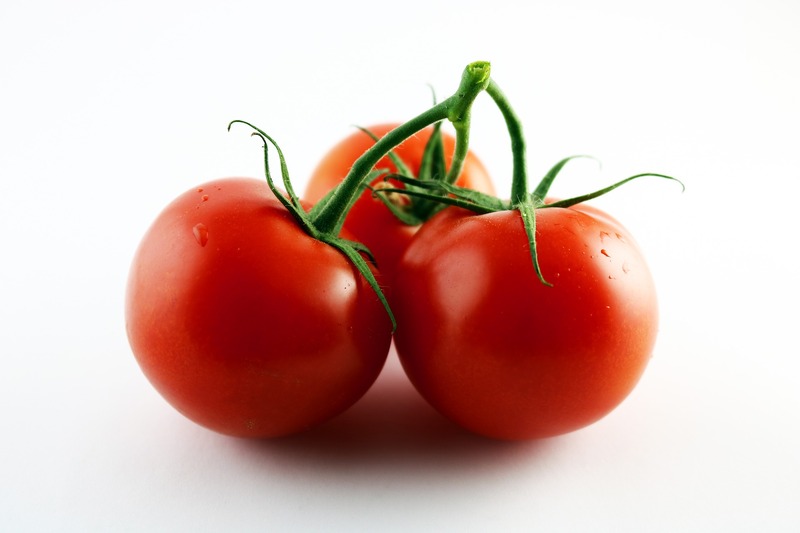 This paper identified many metabolites that are different between red and pink tomatoes. This finding will lay the foundation for further studies to determine which of these metabolites give pink tomatoes their unique, sweet taste and that may be incorporated into red tomatoes to make them more flavorful. One question in the design of modern tomatoes is whether we can design equally large tomatoes that are both more flavorful and nutritious. This paper suggests that through metabolomic changes in the tomato we can. The authors propose that the changes in metabolites were likely not due directly to the genes responsible for fruit weight that produced larger tomatoes, but rather genes that were “linked” to these fruit weight genes. Essentially these genes hitched a ride with the fruit weight genes to be passed on unintentionally. Nowadays, we have the capabilities of making more precise changes in DNA and ensuring that only the genes of interest are changed and not related genes or “linked” genes. Using these modern genetic approaches, such as Crispr-Cas, we can now increase the nutritional value and improve taste in tomatoes while avoiding the “linked” genes that likely brought about some negative changes in the modern tomato. So yes, we may be eating bigger, tastier, and healthier tomatoes in the future!